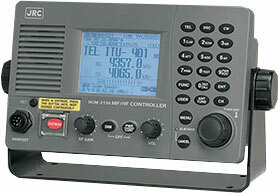 suitable for radio installations of vessels navigating A2 and A3 Inmarsat Solution, sea areas. requirements to apply the vessel navigating A2 and A3 Sea Area. easy operation for distress and safety calling as well as general communication. cantly reducing down time and service miscarriage by failure analysis. You can perform self-diagnosis checks on the controller and transceiver, allowing for easy maintenance and more reliability. The results are directly shown on the screen, you can save as a log (up to 10 possible) or print the results (with optional printer). Built-in high grade selfcheck function centrally controlled using JSB-196GM Radiotelephone ensures easy maintenance. What’s standard in the box?